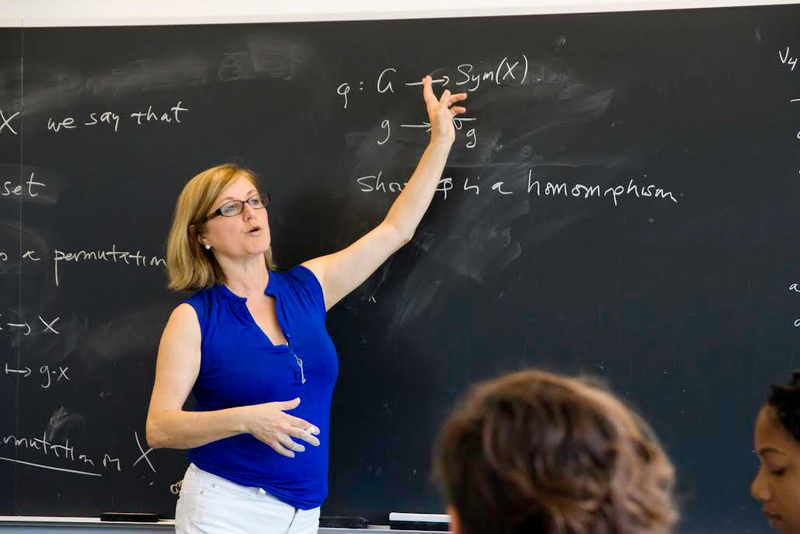 Professor Poimenidou is an algebraist whose research interests are in the areas of group theory and algebraic combinatorics. She enjoys teaching the Abstract Algebra sequence, Graph Theory, Linear Algebra, Number Theory, and Gems of Mathematics. A strong proponent of the power of mathematics, she wants to encourage mathphobes to take a math class at New College. She enjoys origami, photography, and exploring visual mathematics. Eirini Poimenidou & Ken Johnson “A formal power series attached to a class function on a group and its application to the characterisation of characters”, Mathematical Proceedings of the Cambridge Philosophical Society ,Volume 155, Issue 03, November 2013, pp 465-474. Eirini Poimenidou & Michael Bardzell “Binomial Coefficients Modulo a Prime: A Visualization Approach to Undergraduate Research”, PRIMUS, 21(3), pp.238-251, 2011. Eirini Poimenidou & Michael Bardzell & Katelin Childers*, Erin Craig*, Israa Taha *, “A p-adic Approach to Binomial Identities”, The Pi Mu Epsilon Journal,Volume 13, Number 3, pp 133-142, 2010. Poimenidou, E., & Cottrell, A. (2000). Total characters of Dihedral groups and sharpness. Missouri Journal of Mathematical Sciences, 12(1). Poimenidou, E., & Johnson, K. W. (2003/2). Group characters, permutation actions and sharpness. European Journal of Combinatorics, 24(2), 173-182. Poimenidou, E., & Wolfe, H. (2003). Total characters and Chebyshev polynomials. International Journal of Mathematics and Mathematical Sciences, 2003(38). Poimenidou, E., & Bardzell, Michael; (2007). The PascGalois Summer Undergraduate Research Retreats, May/June issue of the MAA newsletter FOCUS, 2007. Johnson, Kenneth W.; Poimenidou, Eirini Generalised classes in groups and association schemes: duals of results on characters and sharpness. European J. Combin. 20 (1999), no. 1, 87–92.